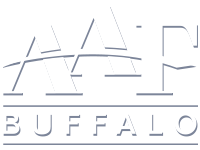 Each year AAF Buffalo recognizes deserving individuals and departments who have made an impact on Western New York’s advertising community through a handful of special awards. These awards are given out in conjunction with the American Advertising Awards. This award was created to recognize outstanding achievement and service in the communications industry. Recipients of this award are individuals who, through a consistent, high degree of original thinking in their field, have left an indelible mark on the Western New York creative community. Winners have a distinguished record of achievement over an extended period of time, which includes contributions to their company, the industry and the community. This award is named in honor of two prominent figures in Buffalo advertising: longtime Buffalo ad executive David I. Levy and Alex Osborn, the inventor of brainstorming and manager of the Buffalo office of Barton, Durstine & Osborn (precursor to the global agency BBDO). In the spirit of one of Buffalo’s true giants in the industry, this award recognizes not only hard work, but also outstanding achievement in furthering the activities and interests of the club. Recipients have shown dedication, commitment and service to the club that went above and beyond the call of duty. This award honors an outstanding young professional in the marketing and advertising field who has demonstrated great potential in his or her early years in the industry. The recipient has five years or less experience in the marketing and advertising field (excluding internships or part-time employment while working on a degree) and has been an AAF Buffalo member for at least one year. This award was created to recognize outstanding achievement and service in the communications industry. Winners have a distinguished record of achievement over an extended period of time, which includes contributions to their company, the industry, and the community. The award was named after David I. Levy, one of the top ad agency executives in Buffalo from the 1950s through the 1980s. 2011 – Al Klenk, Quinlan & Co.
Named in honor of Alex Osborn of Batten, Barton, Durstine & Osborn fame, this award recognized individuals who, through outstanding creative achievements, have left an indelible mark on the Western New York creative community. A recipient does not have to be a member of AAF Buffalo or work primarily in the advertising arts. Recipients of this award have helped strengthen the local advertising, graphic arts and communication disciplines – as well as gained recognition outside the market. The Odysseus honored a client in the Western New York market with a record of implementing strategic marketing and advertising in an extraordinary way.